Should you have any questions, we gladly look forward to your messages, inquiries. 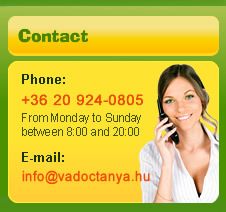 Below you find our contact details. By using our Inquiry Form you can send us emails without having an own email programme. Headquarters: H-2040 Budaörs, Szivárvány u. 20. Address of the youth hostel: H-8315 Gyenesdiás, Tulipán u. 3. After filling out the fields click on "Send". All the fields marked with * have to be completed - if any of these fields are empty, the email will not be sent. Please copy the digits you see in the picture into the field below them!